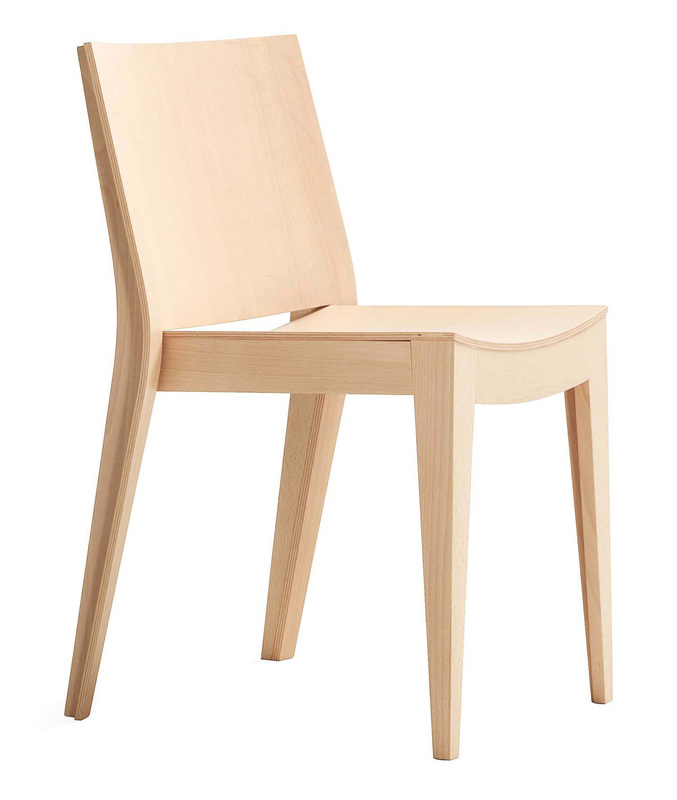 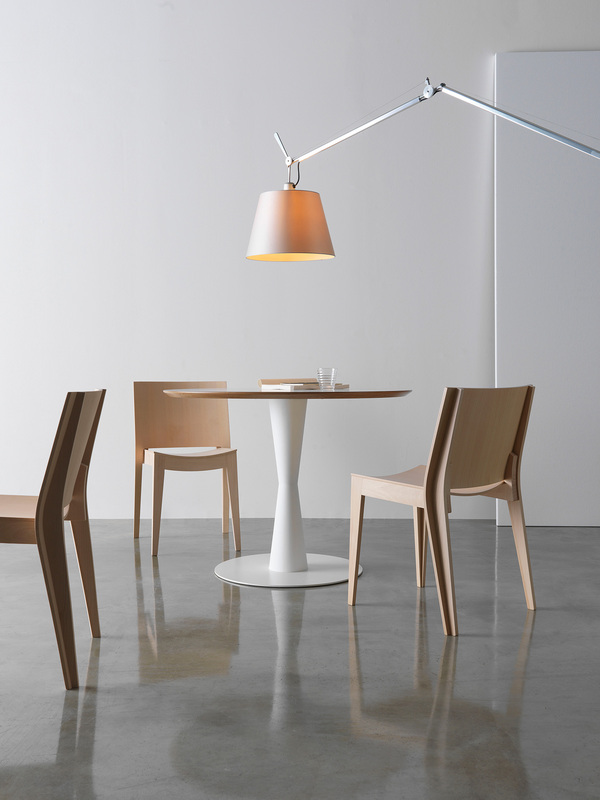 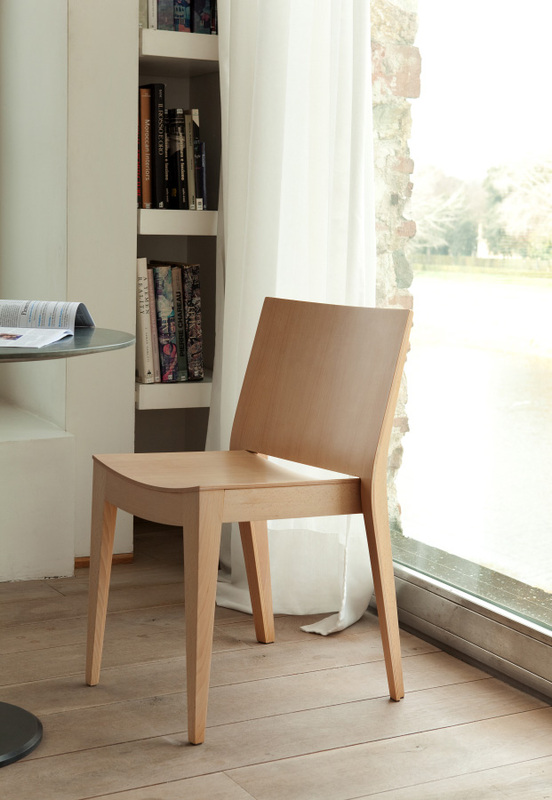 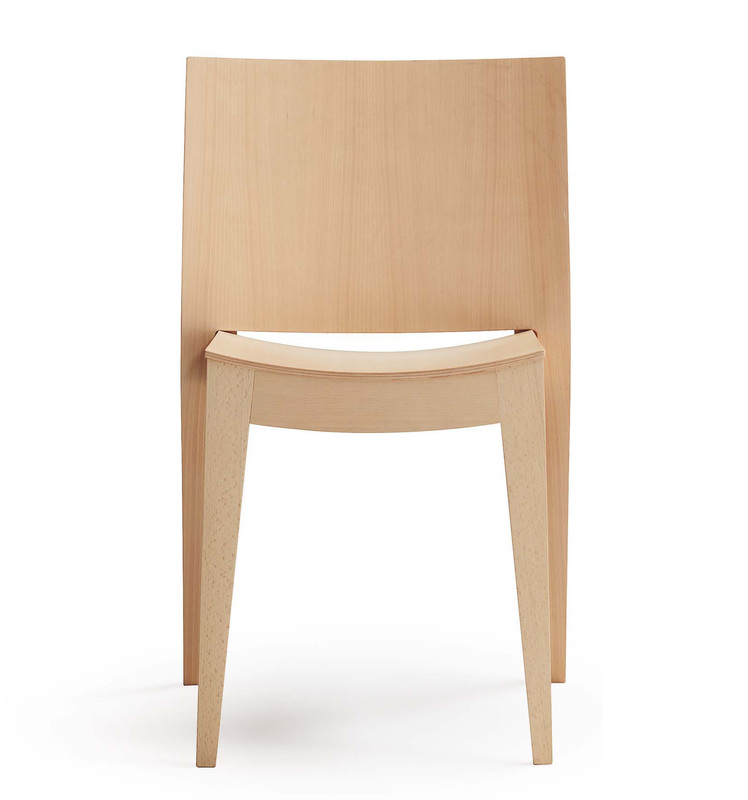 Stacking chair with solid beechwood frame; seat and back panels in bent plywood. 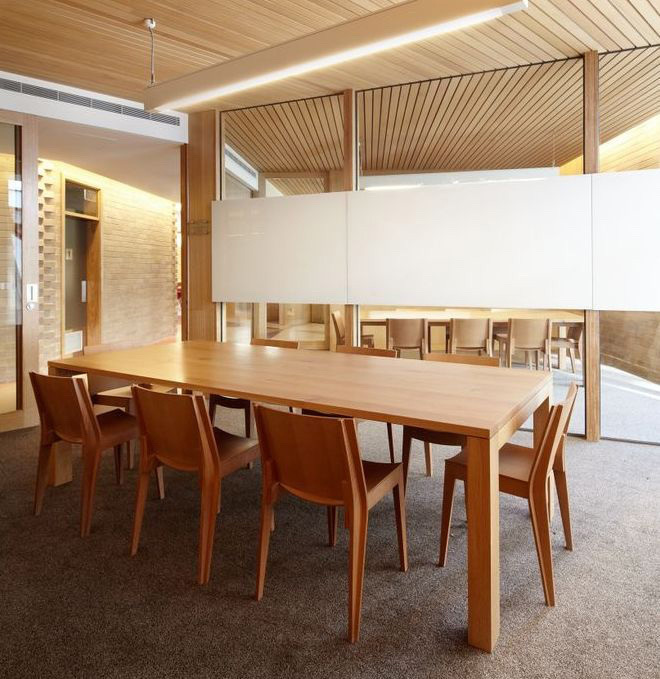 The aim of the project is the formal synthesis with few exact, incisive lines. 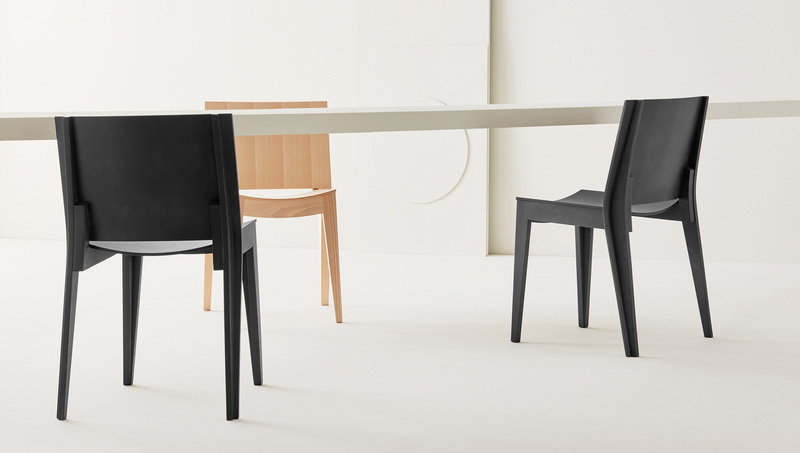 The shape corresponds to precise structural requirements, in order to meet the solidity exigences of the contract market. 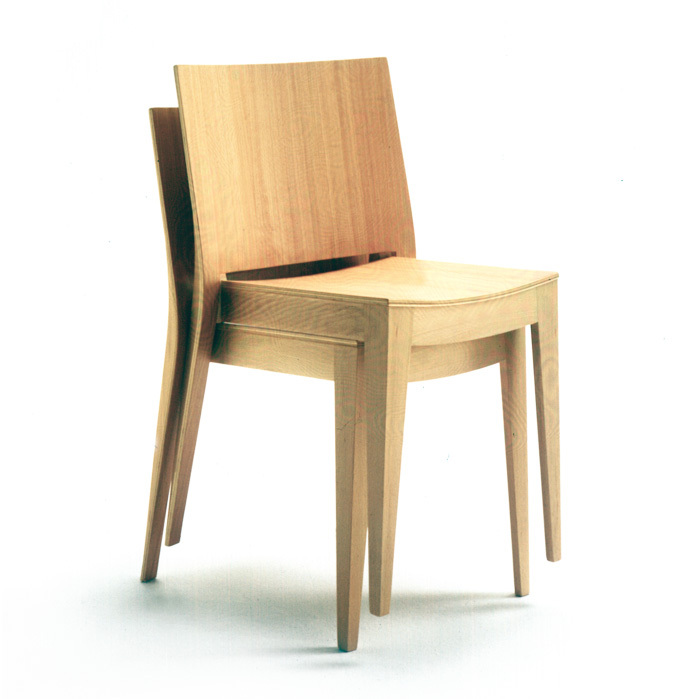 To avoid wasted material, seat and back are made out of the same bent plywood sheet, structurally cooperating with solid wood legs.